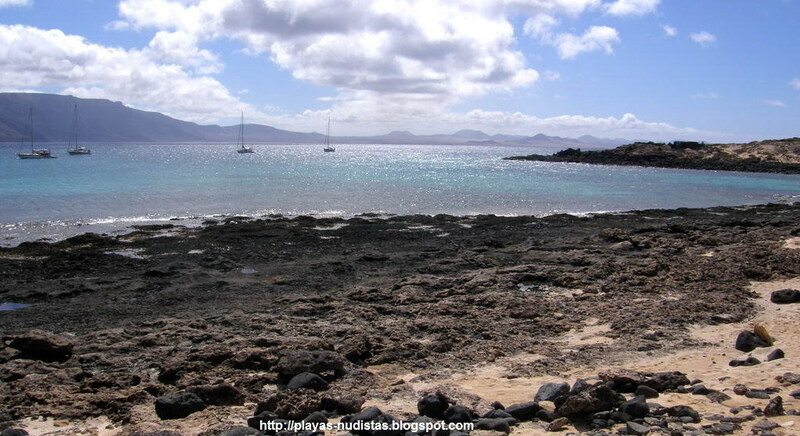 This is one of the few beaches in La Graciosa where nudism is not the norm (but possible). Although it is very close to Caleta del Sebo and the harbour, since there is not any paved road in the island you leave civilization behind as soon as you move west. Only the tourists enjoying the quietness. Long beach, very few people (except perhaps at the times the ferry arrives) atracted by the natural environment: clothes don't really seem to be required. You can only get to La Graciosa using the ferry that runs from Orzola, in northern Lanzarote to Caleta del Sebo. It takes only 20 minutes through a usually calm sea channel. Once in the island, forget the car. Paved roads don't exist, and only a few local taxis can use the tracks. The best options to move to the beaches is to rent a bike, or simply to walk. El Salado is less than 1 km away along the coastline. It is more than 1 km long, starting at the exit of the village. A sucession of sandy and rocky areas, it is difficult to define its width, but usually very narrow: just a few metres from the shore sand mixes with "jable" and the few plants able to survive in an island that recives so few rain. There is only a very wide section, separated from the sea by a flat rock. Most people remains next to the village. The farther you move, the less people you find. Finally you can be virtually alone. 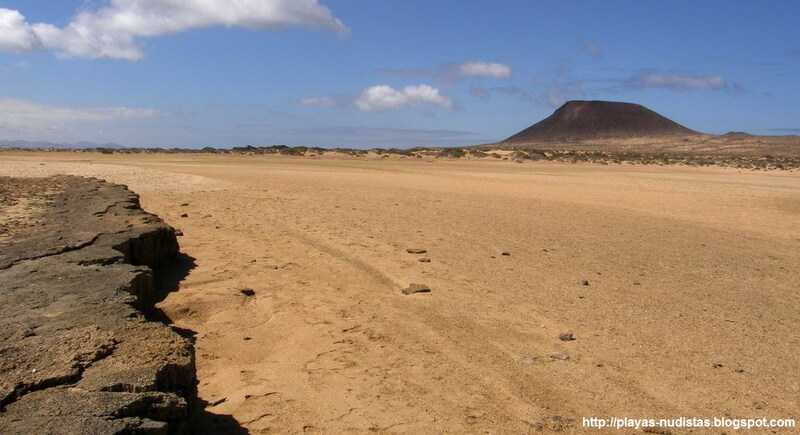 However, being so narrow means that the people walking to the southernmost beaches have to pass close to you, and so you can't experience the celeb quietness of the rest of the beaches in La Graciosa. This is the price to be paid for avoiding a longer walk. Not much in the island, but everything (bars, shops...) is in the village. Outside, it is a virgin area without any facility. Not really common in this beach, but if we don't mind being seen (because there isn't any secluded place), nudism is acceptable. Maybe not in the busiest areas, but in the rest of the beach it is completely up to you to be naked or not.